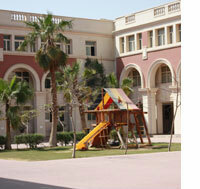 Cairo English School is located in the growing development known as New Cairo. 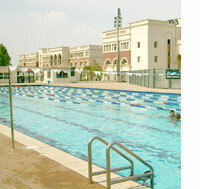 It is to the east of the city, close to the international airport and the JW Marriott Hotel. It can be found on the Suez Road close to the Ring Road. 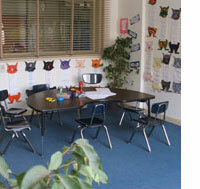 The School is a new development with brand new facilities that are of the highest quality. The main block consists of a three story building set out as a quadrangle enclosing a pleasant central courtyard and containing trees, shrubs, grassy areas, play areas and an adventure playground. Classrooms are light, airy and air conditioned. Most classrooms have interactive whiteboards. All have modern furniture and ample display surfaces. All teachers are provided with all the text books, equipment and teaching resources necessary (including in-class computers) in order to ensure the highest quality of teaching and learning. All Foundation Stage classrooms have their own dedicated bathroom. CES has outstanding Sports facilities that include a full sized sports hall with sprung maple floor, a heated outdoor olympic sized swimming pool, a full sized, grass floodlit football pitch, an all weather surfaced running track, a dance studio, a martial arts and aerobics gymnasium, outdoor adventure playgrounds, basketball courts and play areas. CES has six fully equipped Science laboratories, two Art rooms, two Music rooms, a modern Design and Technology workshop and a Design Studio (including Computer Aided Design facilities). 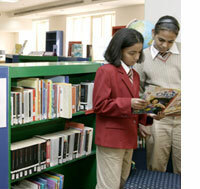 There are two fully stocked and resourced libraries under the supervision of a professional Librarian. CES's extensive collection of books is supplemented by access to online teaching resources as well as internet access for research purposes. As well as ICT facilities found in all classrooms and specialist teaching rooms, CES has three dedicated ICT suites. The extensive ICT provision in the school reflects the priority given to this essential facet of education and life generally. The theatre, which includes a full stage, raked seating and a balcony is a real asset to the school. It is equipped with lighting and sound systems to enable professional performances to be staged. The theatre has all supporting facilities such as green rooms, scenery storage facilities and dressing rooms.